August 6, 2016 lowpricebooks Sharon Weiner Green M.A. 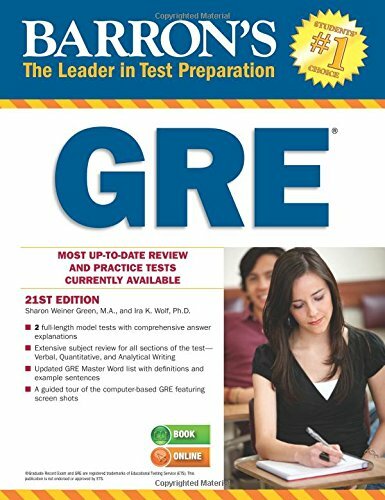 Barron’s GRE, 21st Edition by Sharon Weiner Green M.A. This customized online course adapts to each individual’s specific needs. Getting a great score has never been more personal or more convenient!